In our pursuit of a medical school headquartered in Spokane, we’ve talked about how the community-based model will send third- and fourth-year WSU medical students to locations across the state. It is a model that will introduce medical students to communities that are in need of physicians. This won’t be entirely new territory for us, as some of our other health sciences programs already reach across Washington, offering students in other communities the chance to study close to home. The following was written by Dr. George Novan, FACP, Associate Dean, WSU College of Medical Sciences, for the April issue of The Message, a publication printed monthly by the Spokane County Medical Society (SCMS). It is republished here with permission from both Dr. Novan and the SCMS. It’s not often a person has a chance to be part of starting a new medical school. 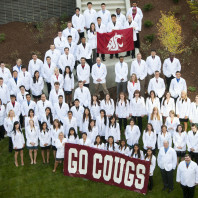 We at Washington State University have been picturing what we want to create with a new WSU College of Medicine. 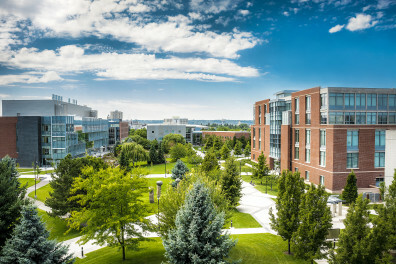 WSU leaders provided an update on where the university is at in its pursuit of a medical school in Spokane today, releasing the names of those on the Founding Dean Search Committee. 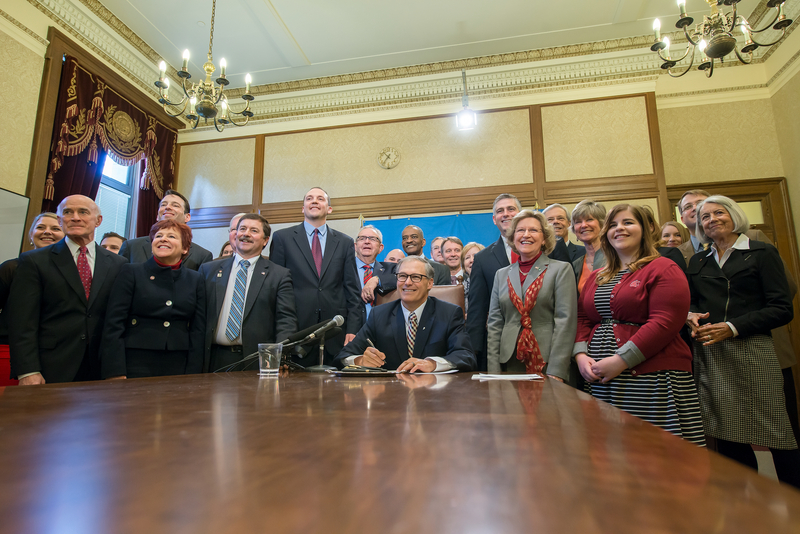 Bill signing ceremonies conducted by governors are often joyous occasions that formalize legislative achievements. But rarely do they lead to spontaneous pep rallies, as happened on April 1. Washington Legislature Heads to Special Session – What Does it Mean for WSU Spokane? 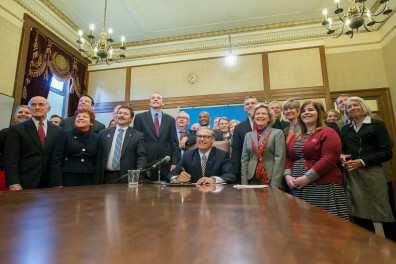 Governor Jay Inslee announced today that he is calling for a special legislative session to begin on April 29 to focus on the budget, transportation and carbon pollution. 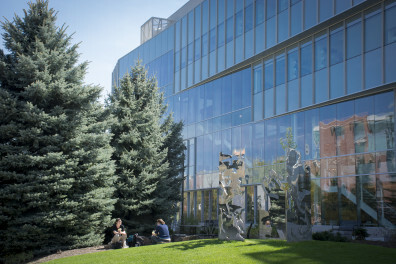 What does this mean for WSU Spokane? 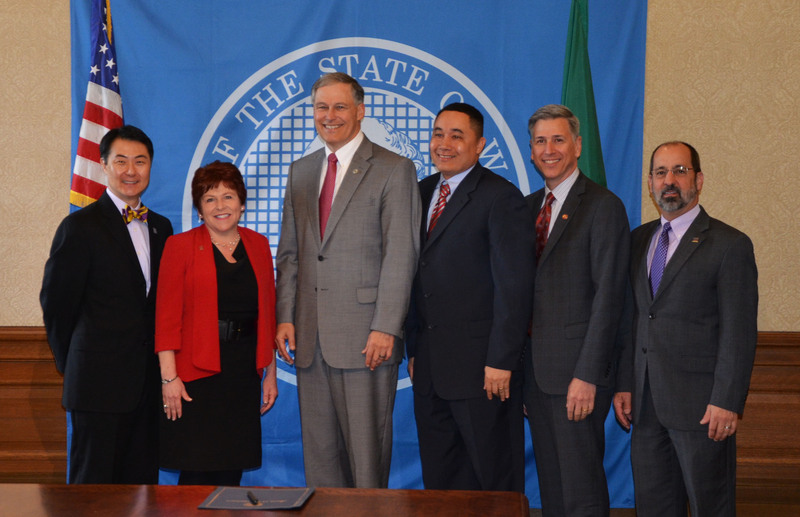 Governor Jay Inslee and Washington lawmakers recognized the branch campuses of Washington State University and the University of Washington this week with a proclamation celebrating the two schools. 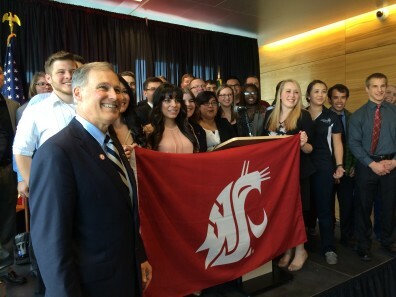 Governor Jay Inslee visited campus yesterday for an afternoon celebration of the start of WSU’s new medical school to be located in Spokane. 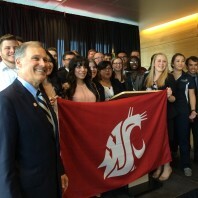 “We are all Cougs today,” he said shortly after taking the stage in front of a crowd of about 200. Inslee signed legislation this week allowing WSU to operate a medical school. 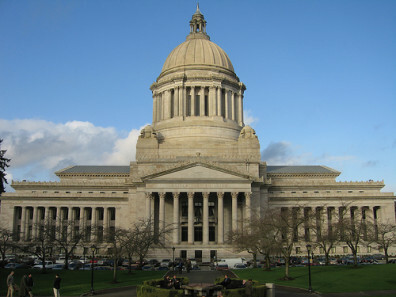 As the legislature continues its budget negotiations, we should soon learn the amount of funding WSU will receive. Both budget proposals have included money for WSU’s new medical school. 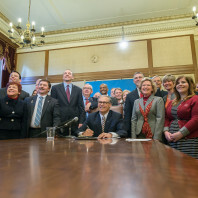 Governor Jay Inslee Signs WSU Medical School Bill – What’s Next? 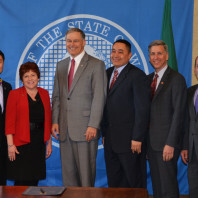 Governor Jay Inslee signed legislation today that allows WSU to operate a medical school in Spokane. This is a great day for WSU, Spokane and the entire state. As the Governor was signing, the audience around him broke out into a nice rendition of the WSU fight song – a fitting way to celebrate. 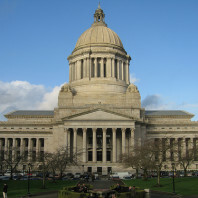 The legislation – officially House Bill 1559 – changes a 1917 law that restricted medical education solely to the University of Washington. It’s been a long road to this point. So what comes next? 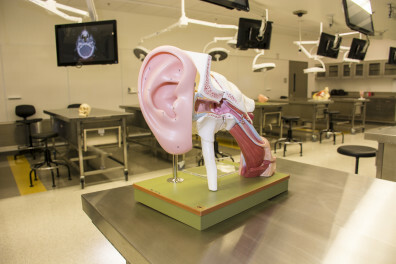 House Democrats in the Washington Legislature released their budget proposal today, and it includes $8 million allocated to starting a WSU medical school on the WSU Spokane campus. 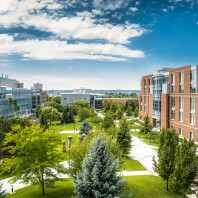 This is a good step forward in creating a WSU medical school to meet the needs of prospective students who want to go to medical school in Washington, and the rural and underserved areas. It is just the first step in the budget process, and Republicans in the Senate are expected to release their budget proposal in the coming days. Then, the two sides will begin negotiations with the hope of finalizing a budget by April 26, the scheduled end of the legislative session. There is always, however, the possibility the legislature goes into a special session beyond April 26. 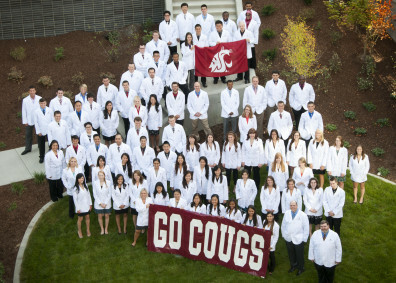 This morning, the Washington Senate gave final approval to the bill that now allows WSU to operate a medical school at its Spokane campus. The final vote was 47-1. 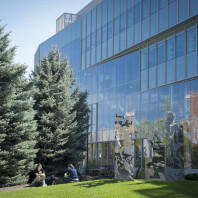 This is a wonderful birthday gift for the university, which turns 125 tomorrow. So how’d we get here, and what’s next?